Web Design in Toronto is our area of expertise. We also design websites in London Ontario and Vancouver BC but we do work with your remotely if you are in other area and are unable to get into one of our local studios. We also offer search engine optimization services, social media campaigns and local geographical market targeting for your brick and mortar and service businesses. One of the things I tell my clients often is that building a website is like throwing a party. You can spend 6 months planning every last detail, putting up decorations, making food and getting everything in order but if you don't send invitations it's not going to be the party you imagined. Building a website is the same idea. Build all you want but until your audience knows you are out there waiting for them to grab a balloon and do the twist you aren't going to have much fun. That's where search engine optimization comes into play. We work with you from the beginning of the web design process to ensure that your site is built in a way that is hierarchically pleasing from a markup structure standpoint to the search engines that be. The process is very complex and is a long-term program to get you into and keep in you in the good graces of the google gods. Logo creation and branding is another area we lead in London, Toronto and Vancouver web design. You have a business start-up idea and want to put your best foot forward to your potential users? Give us a call. You've been around for a while but feel like your brand could use a refresh or a makeover? We do that too. Our clients in London Toronto and Vancouver have been very happy with what we have been able to do for them within their budget. Let us take your website from drab and dated to cutting edge and creative! ASome of the design elements that we incorporate into all of our website designs are the blend of visual elements with both user functionality and search engine optimization. It is a very delicate balance that you must acheive when trying to please everyone. And to be successful on the web you need to design with all of these users in mind. A Effective use of whitespace is another design element that is lacking in most designs today. No one wants to read through 40 paragraphs of text. Like a job interview, a decision has been made about whether your services will be used or not withing the first 5 seconds of the user experience on your website. Is your logo pleasing to the eye? Is there clarity of offer or is it like the pressure you feel pulling up to the Taco Bell menu in the drive thru and trying to figure out what you want and how much it costs. Keep it simple. Though we shouldn't, we DO judge a book by its cover. Make sure yours is appealing. A A consistent message is also important across all of your online marketing platforms. Like interior decorating, a country kitchen with a sleep modern living room is going to be confusing and repulsing for all regardless of your design tastes. Having the same message across all platforms, your website, twitter,facebook, Google+, instagram, pinterest, linked-in presents a strong branding message. A Wait, you didn't even know you could market your business on Pinterest?? Instagram and pinterest are quickly surpassing all other social media tools to brand and market your business. Done properly you could find very great value in "advertising" on these free tools. Call us and we'll show you how. A The key to a successful business is the tools by which the message is communicated. If you don't have the time to put a solid effort into building your business online, designing a website, marketing it to the local London Toronto Vancouver markets and taking the time to connect meaningfully with your customers and users to provide a "user experience", you will soon find yourself with more free time then you wanted. A We will design your customer experience starting with your website. We will tell you what the market in London Toronto and Vancouver is looking for in a provider of your products and services. We will show you were your potential customers are looking to find businesses in London Vancouver and Toronto and we will show you what parameters they use to define a user experience and who will ultimately get their business. Marketing on the web is a part of your business model that you can't afford to ignore. 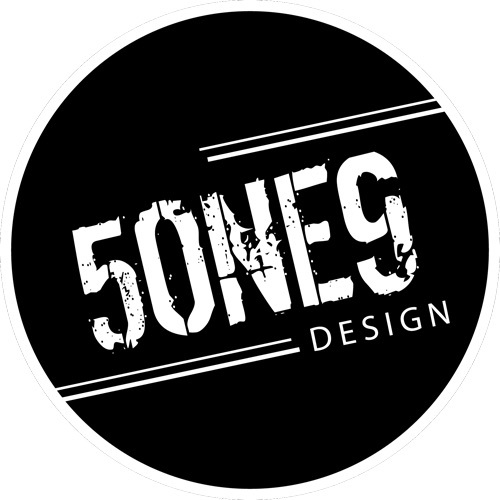 Kristina Bradley at 5one9 Design based in London Ontario, a leading website designer, SEO and Social media marketing can take control of that area of the business plan for you. We specialize in taking small and startup businesses into the online marketplace whether you are an online business only or a local business offering products or services in London Vancouver Toronto or anywhere in between. We work with you to ensure you have prime placement on Google Local Maps, that you are creating a good reputation through reviews on Yelp, Google Places, Google Business and Google+, Bing and Yahoo. Your online presence needs to be carefully managed through a functional website that is designed both for user experience ad search engine optimization. You want Twitter to be saying good things about you. When someone googles your business you want them to find positive reviews, your YouTube Channel, they want to see that you plan to be in business for a long time and have taken steps to ensure that if someone wants to know more about your business and who your customers are and what they think of you, that information is out there.